It´s easy to view and delete partitions on Windows 8 and on new Windows 8.1 / 10, the example how to! 1.) ... To view and delete partitions via Windows X Menu! 2.) ... Start Management via Windows+R command Win 10 Home / Pro Redstone! See also: ► Why can I not delete a VHD file on Windows? 1.) To view and delete partitions via Windows X Menu! 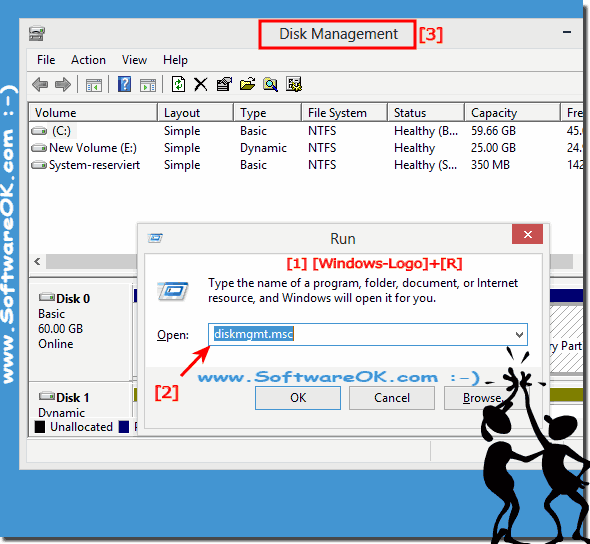 To view and delete partitions on Windows-8 or 8.1 please open the Windows-8 Disk Management to see: ... the Disk-Management in Windows 8! Over the Action menu (see Image-2 Arrow-2) you can for example: creating a VHD disks or Attach a VHD! Easy to see hdd partitions on windows 8 or to check hard drive partitions, delete hard disk drive, with the internal partition viewer on all windows OS! Tip: You can also remove windows hard disk partition! You can decrease the space that is used by primary partitions and logical drives by shrinking them into adjacent, contiguous space on the same hard disk drive. For example, if you discover that you need an additional partition, but you do not have additional disks, you can shrink the existing partition from the end of the volume to create new unallocated space that can then be used for a new partition. 2.) Start Management via Windows R command! 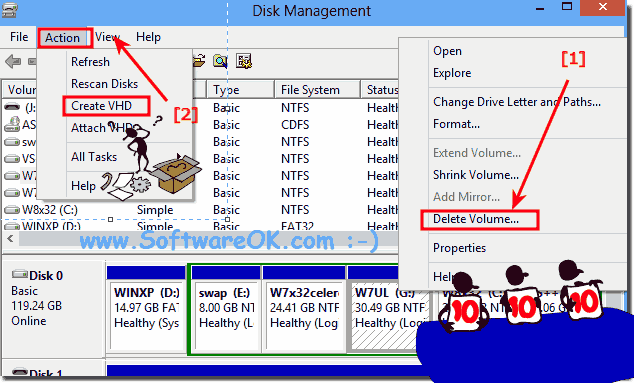 (Image-3) View and delete partitions on Windows 8.1 / 10, how to ? This screenshot has been snipped under Windows 8.1. However, you can use this solution to find and delete partitions on Windows 8.1 or 10 without disadvantages also for earlier Microsoft's Windows operating systems whether it's a Home Windows desktop Computer, to go on tablet-PC Surface Pro and Go, or even a business server operating system. It has been tested on most all MS OS and successfully verified. 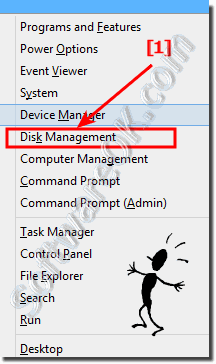 Windows-8 - FAQ-86: View and delete partitions on Windows 8.1 / 10, how to?